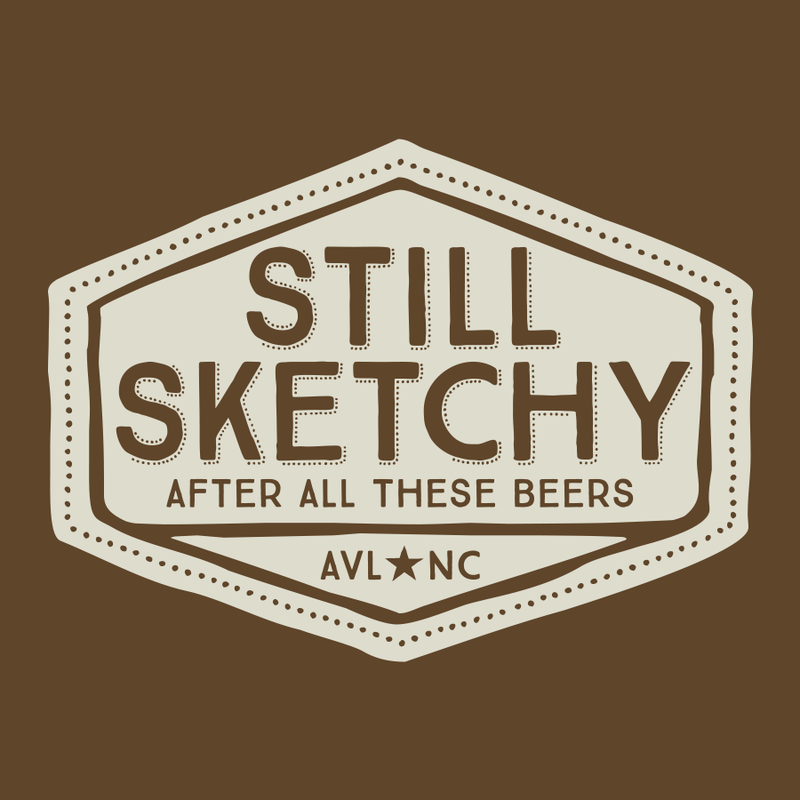 Some might call parts of Asheville “sketchy”. We just call it home. 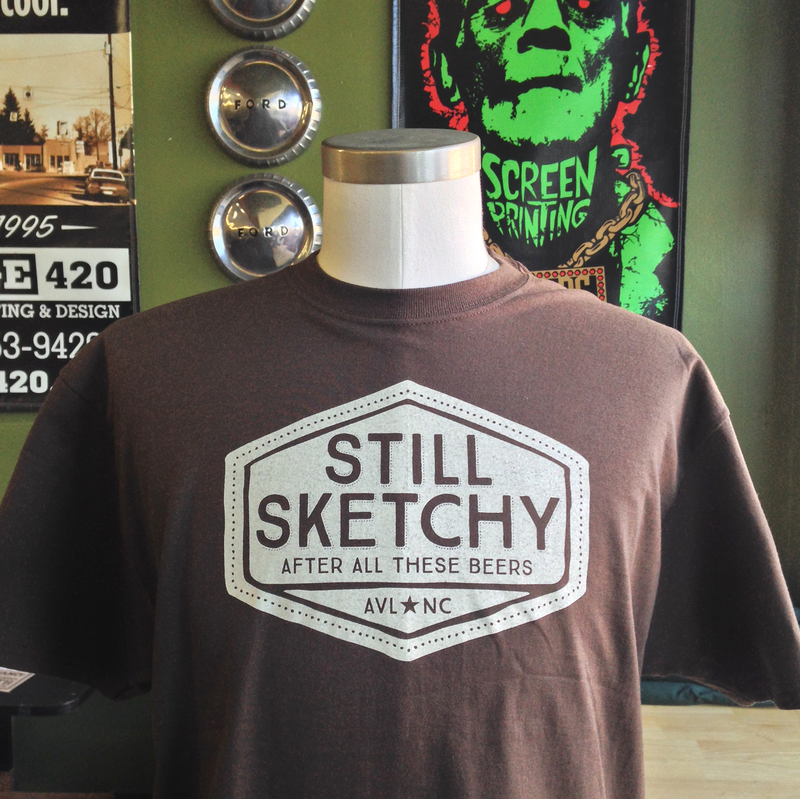 We print the “Still Sketchy” design on an ever-changing array of shirt colors. So, understand that when you order, the shirt color that you receive will be a surprise. Due to the fact that our current stock is always different, we cannot take orders for specific shirt colors. The only way to get a specific color is to visit our shop.